James Kent was a U.S. attorney, judge, and scholar who played a central role in adapting the Common Law of England into the common law of the United States. As a justice and later chief justice of the New York Supreme Court and a chancellor of the New York Court of Chancery (then the highest judicial officer in New York), Kent wrote many decisions that became foundations of nineteenth-century law. Kent's great legal treatise Commentaries on American Law (1826–30) offered the first comprehensive analysis of U.S. law. Kent was born July 31, 1763, in Putnam County, New York. In 1777 he entered Yale University. The Revolutionary War periodically disrupted his studies. During one of his forced suspensions, Kent read Sir William Blackstone's Commentaries on the Laws of England (1765–69), which led him to decide on a legal career. Following college he secured a clerkship with the attorney general of New York, and he was admitted to the New York bar in 1785. Kent began his law practice in Poughkeepsie, New York. In 1790 he was elected to the New York state legislature, where he served three terms. A steadfast Federalist and supporter of the U.S. Constitution, Kent was committed to a strong national government. After losing a congressional race in 1793, he moved to New York City, where he practiced law and served as a professor of law at Columbia University. Kent became a member of the New York Supreme Court in 1798, and served as chief justice from 1806 to 1814. He is credited with transforming the court into a professional, respected bench. He introduced the practice of issuing written as well as oral opinions, and was instrumental in appointing an official reporter to collect the written opinions into official law reports. Kent believed that such reports were necessary so that past precedents could be read and cited more easily. "The dignity or independence of our Courts is no more affected by adopting [English judicial precedents], than in adopting the English language." During his time on the court, Kent addressed the then burning issue of whether English precedents could claim the authority of law in the United States. Some members of the New York bar felt that the American Revolution would be unfinished until the United States had a body of law of its own, untainted by the laws of its former imperial master. Kent disagreed. He argued that the predictability of justice was an indispensable requirement for achieving the commercial progress and stable social order sought by the Federalists. He further suggested that citation and the following of precedent were the best means to judicial predictability. Like many Federalists he admired the stability of the English common law and he maintained that it was the best system ever devised to ensure justice and order. Although he did not follow precedent blindly, Kent believed that previous decisions should not be expressly overturned except when absolutely necessary. 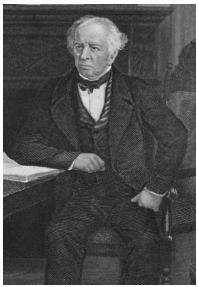 Kent was appointed chancellor of the New York Court of Chancery in 1814. This court was a court of Equity, which applied rules of fairness, rather than a court of law, which applied common and statutory law to the resolution of disputes. Most of the matters before it involved commercial disputes. As chancellor Kent was empowered to do justice based on the particular facts of each case and the equitable principles that had developed in England. He used his equity powers to effect his sense that commercial bargains ought to be subject to some equitable scrutiny to ensure that Unconscionable advantage was not taken. By law Kent was forced to retire from the bench at age sixty, in 1823. He returned to the private Practice of Law and was reappointed to a professorship at Columbia. He was consulted by lawyers and judges about legal issues, and gave a series of lectures at Columbia that became, in revised form, the core of his Commentaries. This treatise, which was published in four volumes, was similar to Blackstone's Commentaries in scope but did not follow Blackstone's precisely in form. Kent's Commentaries covered International Law, the Constitution and government of the United States, the municipal laws of the states, personal rights, and real and Personal Property. It quickly became an authoritative and classic example of the U.S. treatise tradition. Five editions were published in Kent's lifetime, and many more followed in the nineteenth century. The twelfth edition (1873) was edited by oliver wendell holmes, jr.
Kent died December 12, 1847, in New York City. Among the judging panel were the Duchess of Kent, James O'Donnell, organist and master of the choristers at Westminster Abbey, and David Grant, gospel singer and voice coach. Cracknell organised fully-sponsored racedays at Newmarket, Sandown, Cheltenham, Edinburgh and Thirsk and oversaw the training of a string housed with Derek Kent, James Bethell, Sir Mark Prescott, Peter Haynes, Peter Cundell and many others. Kara Anderson, Kimberly Cerullo, Marya DeSanti, Nicole Ellis, Sonja Kent, James Parda, Ariana Philbin, Emily Swalec and Fletcher Viders. Speaking at his pounds 400,000 home in Chislehurst, Kent, James said: "It's great news.